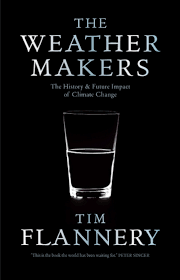 Not necessarily an easy read (the book is packed with information), The Weather Makers is a book that should be read by everyone, irrespective what one thinks about climate change. 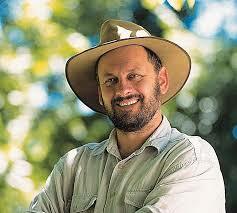 In his book Tim Flannery systematically sets out all the reasons that have caused us to be where we are just now, and he paints a grim picture of the future. That climate change is upon us is terrifyingly obvious. When Flannery dissects the problem, explaining (among other things) how natural occurrences – like a blip in Earth’s rotation – when factored together with our love affair with things that produce CO2, can cause our climate to change the situation becomes more distinct and, if possible, even more worrying. Climate change is not due to just one thing, but it is the result of a number of things coming together at the same time, and at the the heart of this equation is mankind’s production of carbon dioxide – a production that has increased exponentially over the last two centuries. Our eco-system is complicated and connected, but it is also frightfully fragile, and one small change in one part can cause devastation in another. When oceans become warmer, clouds creep higher up mountain sides and small amphibians dependent on the moisturizing cloud mists slowly disappear and become extinct. By the same rule, as the Arctic ice disappears, the polar bear finds itself inhabiting a land broken up by water. Seals, which are its main food source, move away making it difficult for the polar bear to find sufficient food. The bears lose weight and have less cubs. If the ice on which new-born cubs are living splits even more, the cubs usually perish as they cannot swim. Unless we act now, a very large percentage of our animals, insects and plants will very soon be extinct. Once something becomes extinct it is lost for ever. The climate change with which we are now grappling has never happened before, and the sobering thought is that we, the human race, are the cause. The fact that big coal and big oil are pouring millions of dollars into anti-climate change campaigns in a bid to retain the status quo is criminal, but when money and profits are king many people seem to lose their consciences. In 2005 Flannery believed that there was a very small chance that the trend could change if ordinary people made changes to the way they used and misused power, installed solar-heating systems and if they insisted on receiving the greater part of their power supply from renewables. However, coupled together with the greed of big business, people are, in the main, comfortably lazy, and as the world hurtles towards its inevitable end very few people seem to be listening.